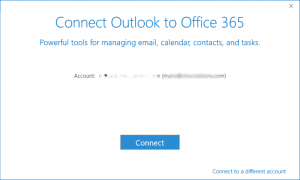 Open Control Panel (hit the Start button and search for Control Panel). 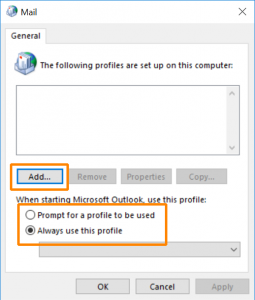 In the top right corner, you can search for “Mail” and then click on “Mail Microsoft Outlook 2016 (32 bit).” Depending on the version of Outlook you have installed, it may give a different version. 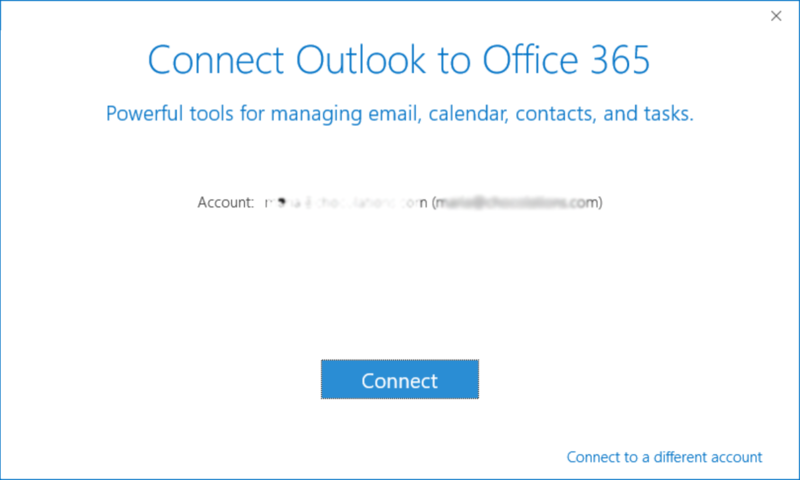 If you have used an Office 365 account on the computer before (OneDrive for Business, Skype for Business, or if you log into the computer using your Office 365 account), you may get a window prompting you to connect Outlook to Office 365. 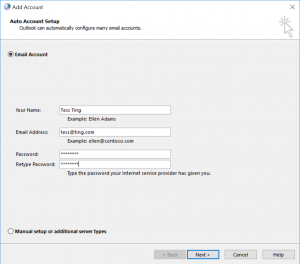 Make sure the account listed matches your email address, and click connect. 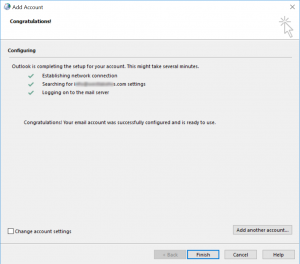 If you’re trying to set up a different account, click on “Connect to a different account” on the bottom right of the window. 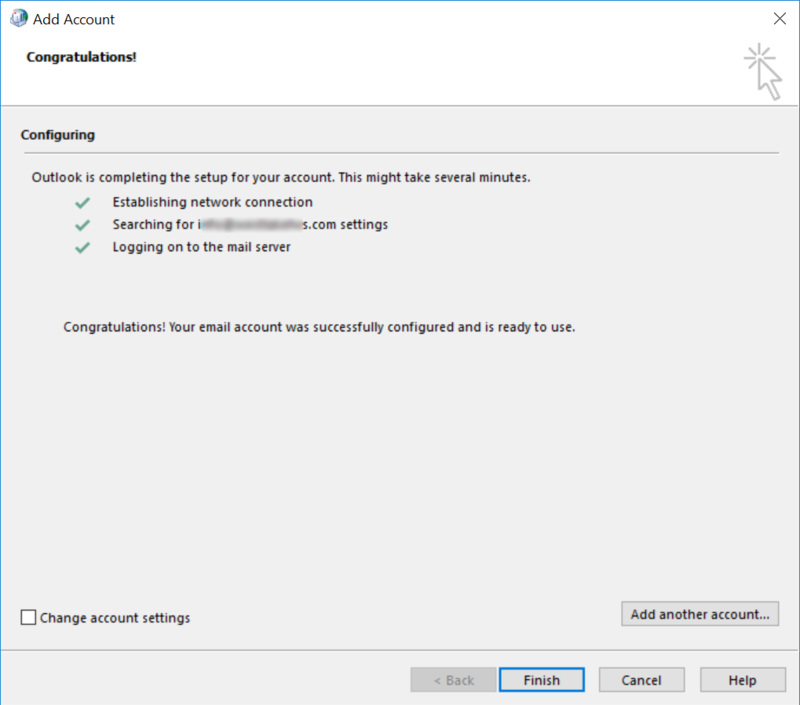 Outlook will try to find your email address and should be able to automatically configure everything behind the scenes. 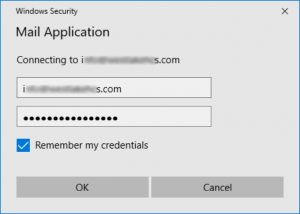 You may be prompted to enter your credentials again. 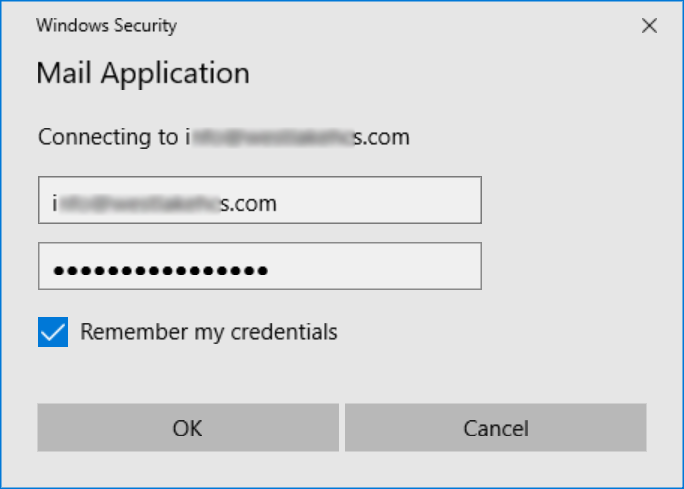 If so, and you’re not on a shared computer, you may want to select “Remember my credentials.” If you do not choose this option, you will be prompted to enter your password each time you open Outlook in order to connect to send/receive email. 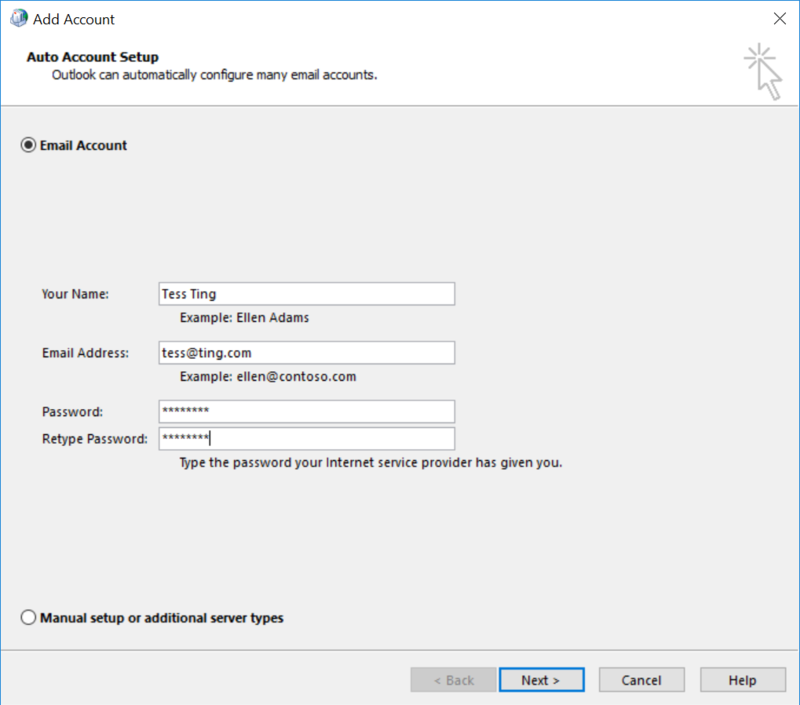 Note that if you don’t remember the credentials, a user can still open Outlook and view mail that has been cached on the computer without having to enter a password. 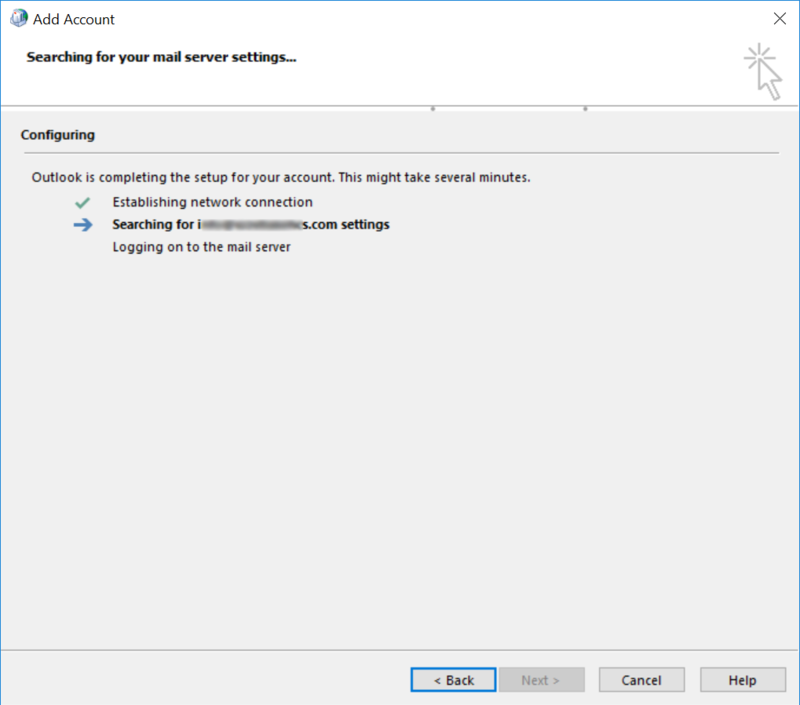 If Outlook was able to successfully find your domain’s settings and configure your email, you should see this screen. 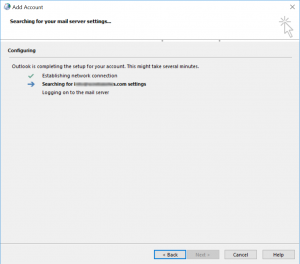 Hit Finish to close the email set up wizard. Depending on the steps you had to go through to get to this point, you may find yourself back at a screen that you saw earlier. 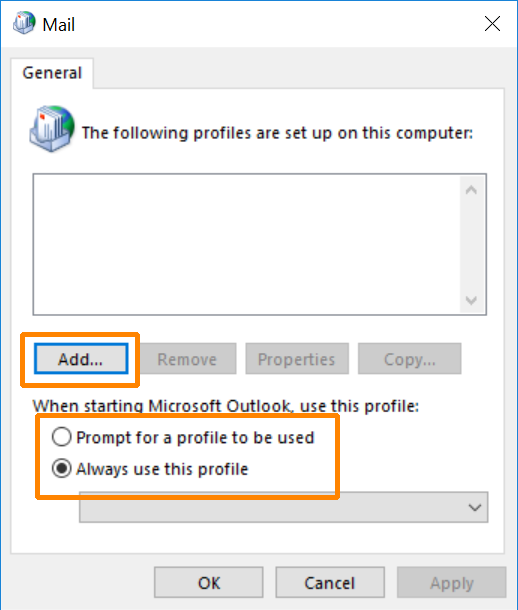 Hit OK/Save to keep any changes made until you get back to the Control Panel.